Despite the woebegone atmosphere that night, heavy rain and thunderclaps, the meeting was almost overflowing! It certainly helped lift our moods that night with the energy of about 60 people in attendance! This was in thanks to the Brunei Gavel Club filling up the meeting, with just one other guest present in this night, Safwan. 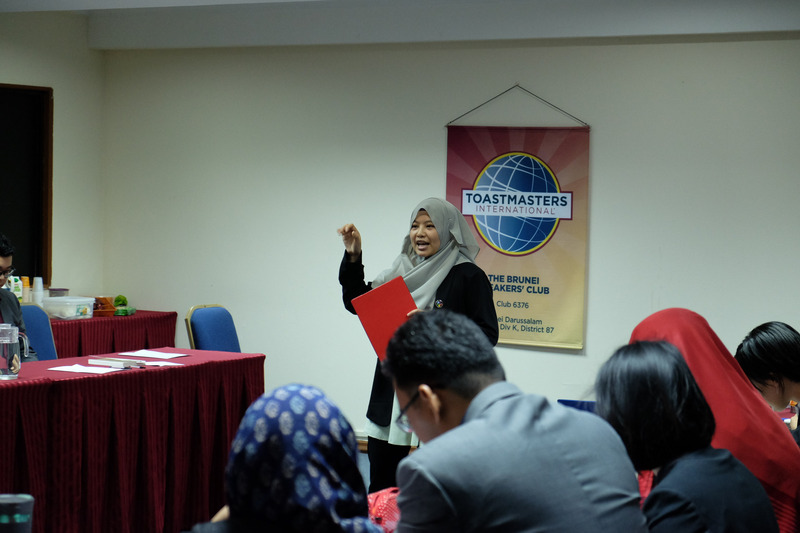 The meeting was drawn to its beginning by our darling Sergeant-at-Arms, Toastmaster (TM) Awfa Nawawi. 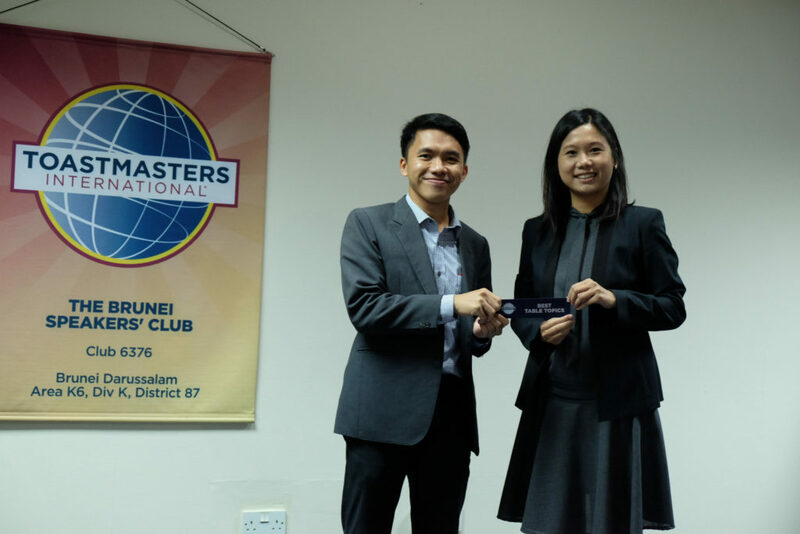 We welcomed the Toastmaster of the Evening, none other than our beloved, cotton-soft President of Brunei’s Speakers Club, Competent Leader (CL) Jordan Yau, to start the role-call of the night. 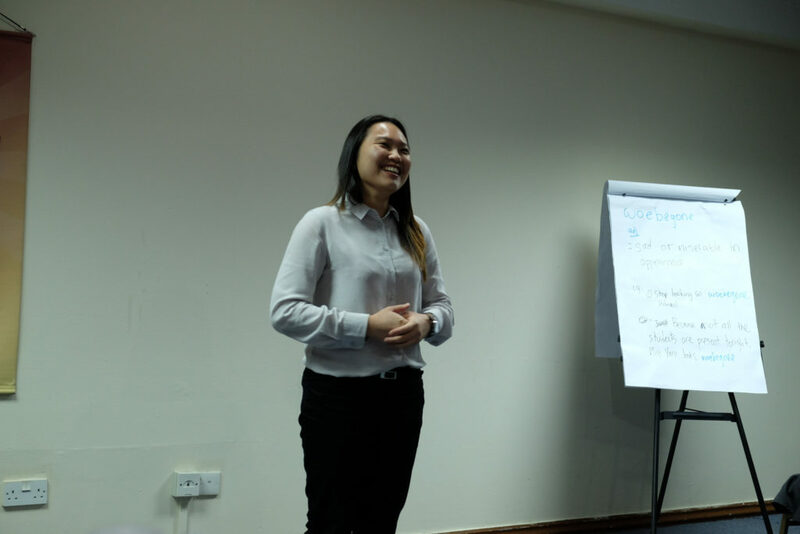 First to be called was the head of the first interactive part of the meeting, introduced as the Heart Attacker, Table Topics Master, TM Lim Mei Ann. She had set the theme for the night as our “Favourite Things”. 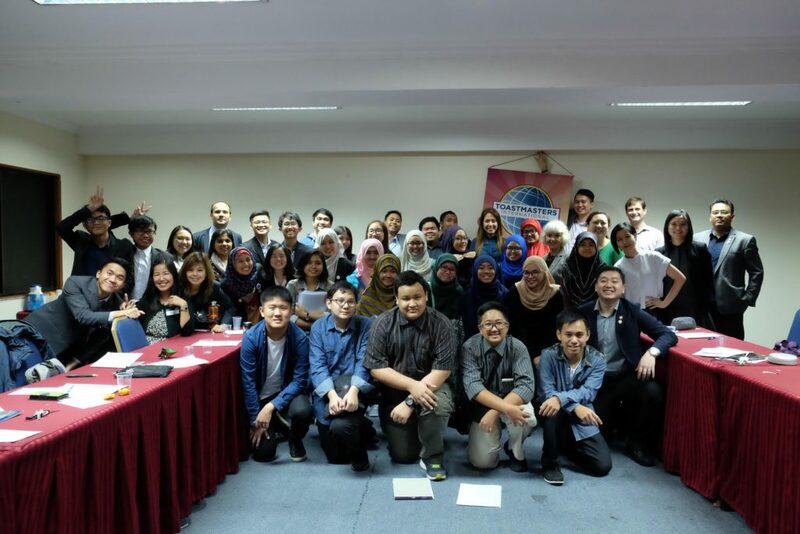 This was later followed by the factor which makes participating Table Topics TM a worthy effort, the Table Topics Evaluator, Advanced Communicator Bronze (ACL), Advanced Leader Bronze (ALB), Yani Hepnie. o Note that “woe” is sadness, the noun. “Begone” is the past tense of “beset”, which means to be affected by. Rhetorics of the Day: “Simile” – a method to compare one trait with another separate object or trait. 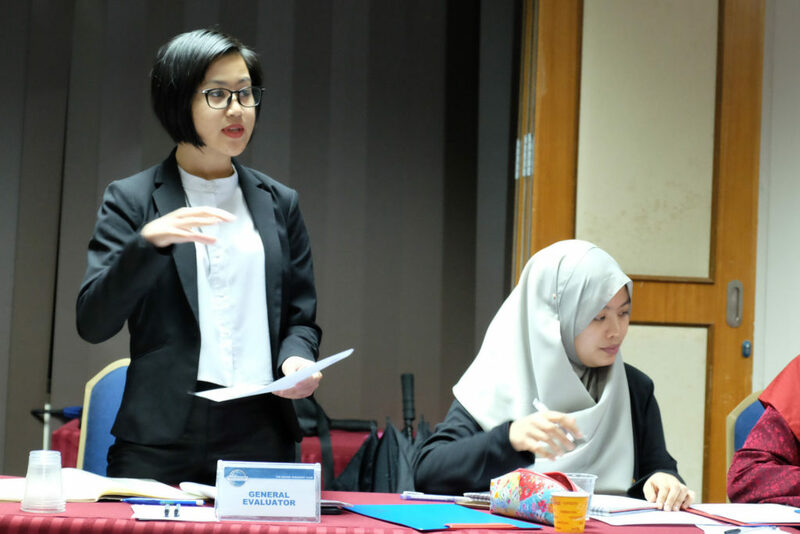 We were then introduced to the next role, the person to help smooth and aid our speeches by removing unnecessary sounds and words, as well as the head of the second interactive part of the meeting, the Ah! 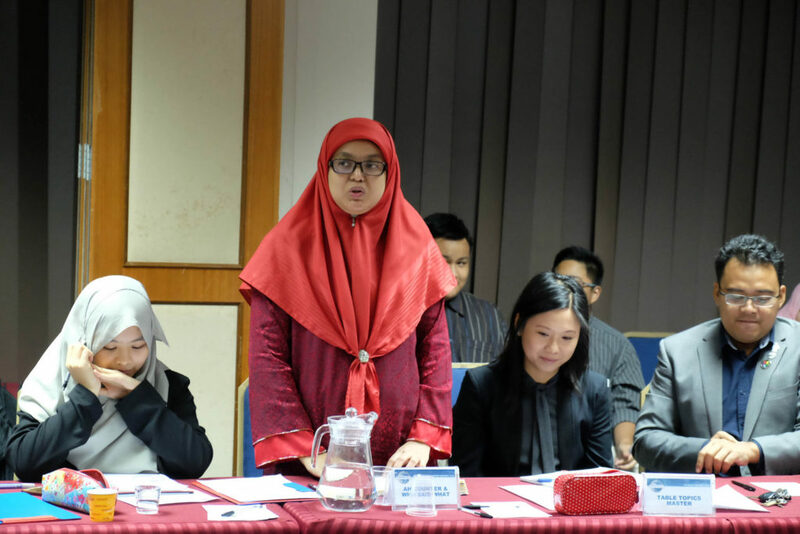 Counter and Who-Said-What, TM Haryati Gafur. 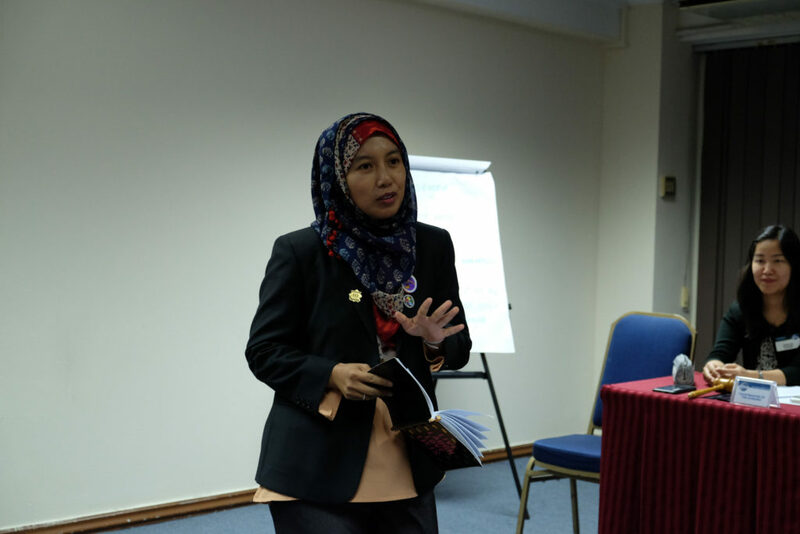 The introduction of the General Evaluator was then made, the mini-principal of the School of Brunei’s Speakers Club, who will try to help every meeting to learn and become better. 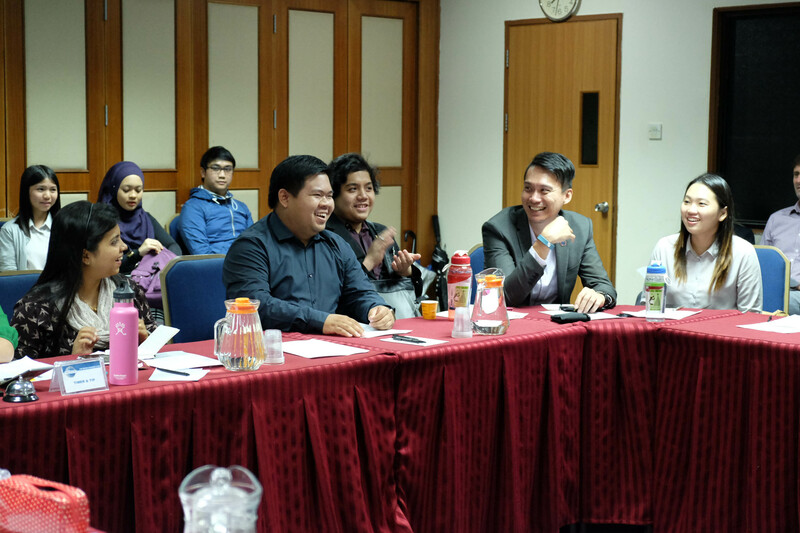 For this meeting, she was CL, CC Hayati Kamis. 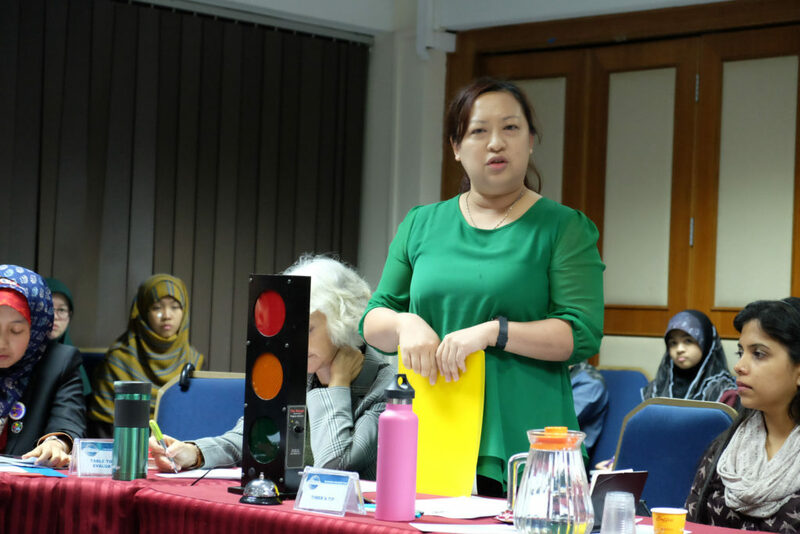 Finally, and as importantly, the person in charge of ensuring we keep to the schedule and the speakers for their time, Timer and Tip, CL Ong Yin. As her role also states, her tip for the evening is to view the time limit not as a constraint, but as the opportunity to be creative in delivering our speech. 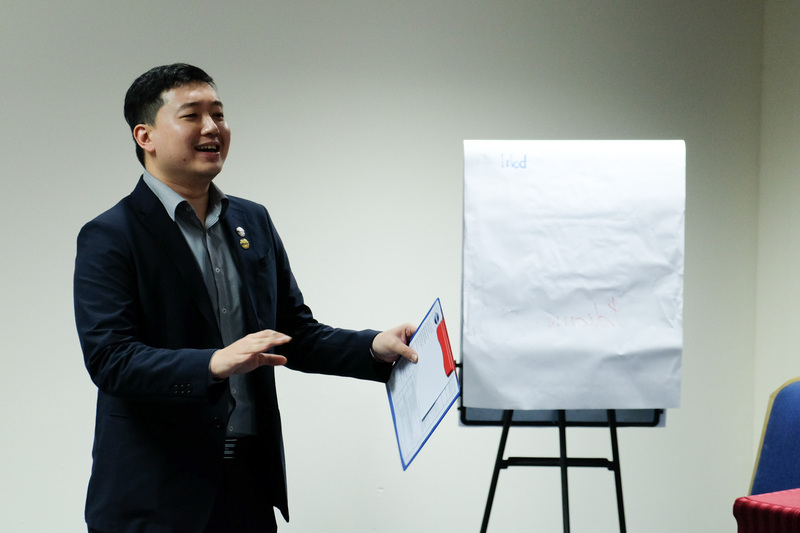 Before proceeding to the project speeches, our Toastmaster of the Evening shared his thoughts for the night, which was to say yes to all opportunities, because whether hard or easy, everything will add to our experiences. With the night still heavy with rain and thunder, it was most appropriate then that the first speech was of humour. Attempting a project from one of the Advanced Communication manual, CC Rahul Breh began his speech titled “Dichotomy” by first sharing with us a moment during his birth. When his grandmother saw how sizable his head was, having 20% more brain than usual, she said Rahul would grow up to become as smart as Einstein. Meanwhile, his mother saw how his body was “cotton soft”, like Jordan’s tummy, and so claimed he would grow up big-hearted. Thus, Rahul grew up in this dichotomy, a word which he explained as having or being with two things, confused as to which one should be chosen. Was he to grow up smart, or grow up kind? Well, he then shared an experience from his childhood. One day, the electricity at home was out therefore his Mother asked him to buy some candles. On the way to the shop, he delayed his trip for a few hours as he saw his friends and played with them. Eventually, he arrived to the shop. However instead of candles, he thought a lightbulb would be a brighter idea. So he bought one and went home. Thankfully, his mother was big-hearted that night, and so they sat down in the dark and ate dinner in that still-experiencing-a-power-outage night. Rahul works as an engineer now, these days. Rahul revealed shortly that he wasn’t in a dichotomy. He was in a trichotomy, a word which means the same as a dichotomy, but with three things. Why three? His grandmother claimed that he has a big brain. His mother said he has a big heart. His wife then added that Rahul also has a big mouth, to which she then directed him to Toastmasters. Over the years, Rahul realized that, while being big-brained does mean that one becomes intelligent, having a big heart means that you easily become obsessed. Being in Toastmasters and lacking some social graces (his big mouth), this leads him to frequently end up in awkward situations. 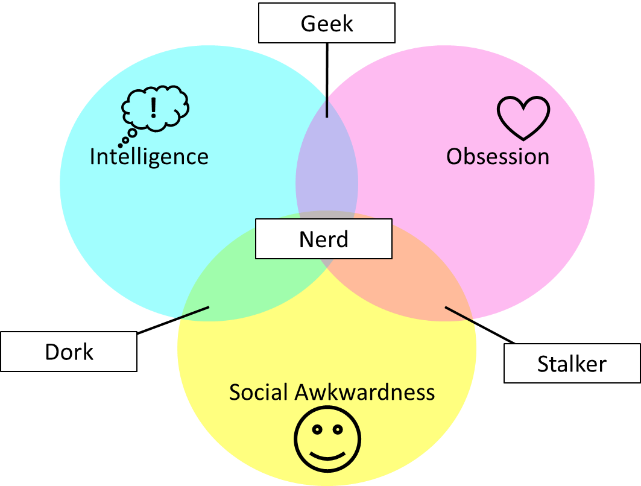 Rahul concluded that he is a nerd, a person who is a know-it-all, obsessed with many things, and is socially awkward. He urged us to be nerds as well. For it is this that endeared him to his wife. 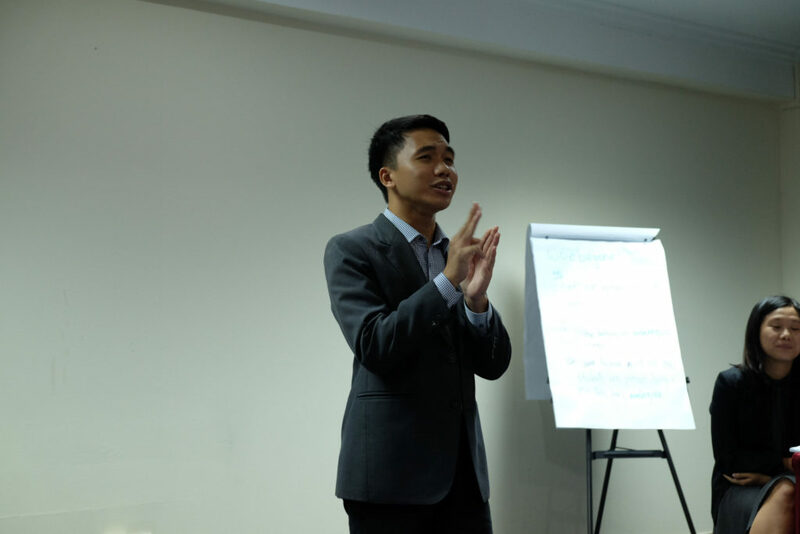 The second speech done by CL, CC Rano Iskandar was different, as it was a project that deals with progressing into Advanced Leadership rather than Advanced Communication. For this, he was to deliver an informative speech to help fellow Toastmasters lead more effectively. 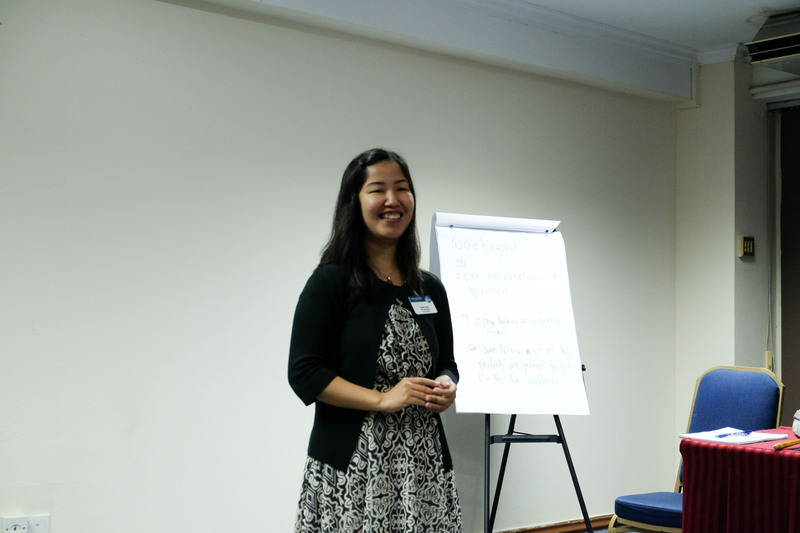 The topic being “Giving Effective Feedback”. 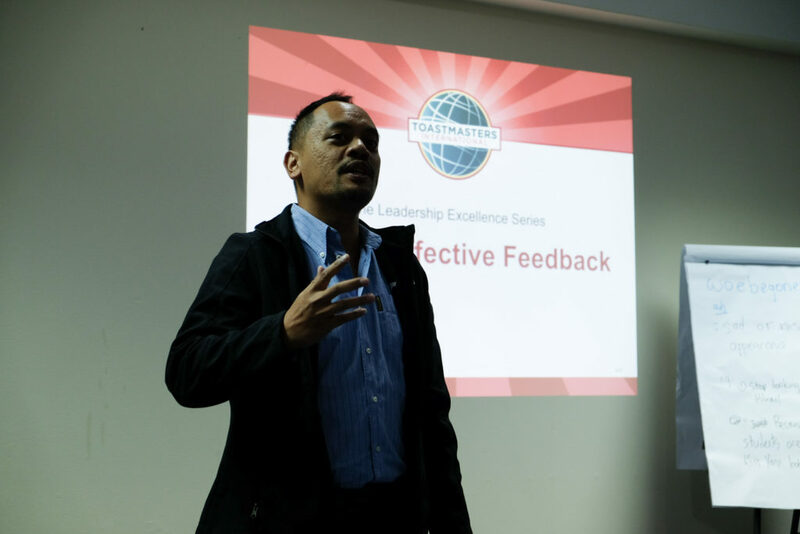 It was explained that giving feedback is essential to the growth and maturation of an individual as well as an organization. Providing effective feedback can lead to faster, better, or at least the right development in individuals or teams. Providing one that isn’t so effective would, in fact, slow the recipient, possibly demotivate them. It is therefore considered that feedback is the “breakfast of champions”, breakfast being the meal to provide energy for the oncoming day. There are four (4) steps to create a feedback. Observe the recipient’s performance over time – improvement happens over time, hence it would be wise to keep track of this improvement for both comparison, and relevance. Provide immediate feedback – with the performance still fresh in mind, the room for improvement is easy to see and quicker to receive. Recognize positive performance – feedback is for both improving weaknesses and developing strengths. Therefore, good things should be affirmed. Be specific – rooms for improvement are vast. It is important, then, to take the time and improve one thing at a time as it can be overwhelming to tackle many things at once. 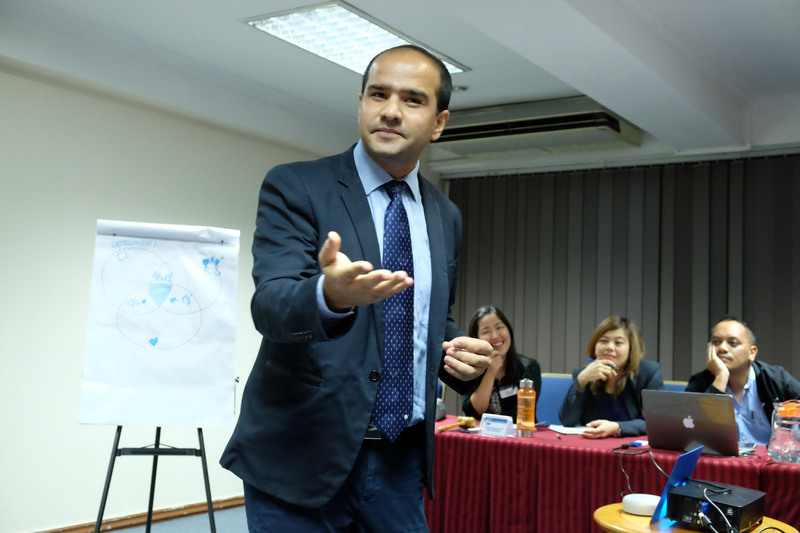 Speak for yourself / Use the “I” technique – Understand that feedbacks are, in essence, intelligently-formed opinions. Saying “I think…” or “I enjoyed…” emphasizes the fact that the feedback comes from ourselves, rather than some sort of abstract certainty we somehow have access to. Be sincere – To know that the person truly wants you to grow and become better is a feeling most wonderful. Conversely, someone giving a shallow or somewhat thoughtless feedback can give a rather uncaring feeling, as if they just want get the job done. If a feedback given is ineffective, the individual addressed will show some tell-tale signs, such as looking discouraged, distracted, perhaps even drowsy, or simply outright not listening. Express appreciation for positive performance – telling them you like what the recipient did is a simple, yet excellent way to do this. Remember to smile when pointing it out – frowning or looking indifferent while saying someone did great would lead them to believe that you are saying empty words or are being sarcastic (which is probably worse). With that, the prepared speeches session was done, and everyone in attendance was, once more, welcomed to the food prepared by the Sergeant-at-Arms. I considered it a special treat as there were fortune cookies! I never had them before. The spontaneous speech-making session began slightly late, but the energy was no less great. I daresay it was better from the break we had! TM Lim Mei Ann gave a tip for everyone that it is okay to take a few moments to deliberate your answer to the questions given. And so first up to the floor was TM Supatra. After a long day and feeling rather tired, she was asked what her “favourite pick-me-up”. Being the introvert that she is, being around many people is rather tiring for her. So, when all the work is done for the day, all she wants to do is to have a night to chill: a good shower, and a warm, decent meal. And then after, or maybe with the meal, she would just climb into bed, open her laptop, and just spend some time alone with her favourite show (maybe a Korean drama called Goblin, just saying). 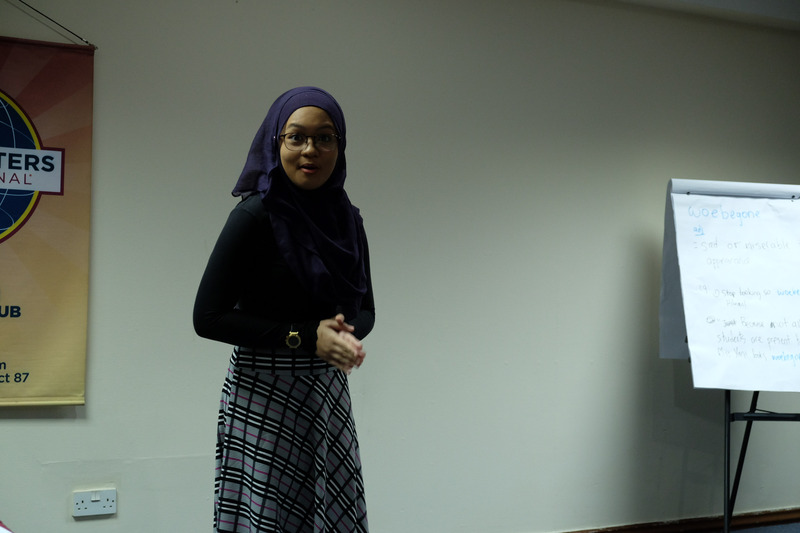 The second speaker invited was a Gavelier, Adrianna. Her question ties rather neatly with the Supatra’s, for she was asked about her “favourite television show”. Ariana answered with confidence that her answer is Korean dramas and variety shows. The actors of these dramas appeal to her very much, as she can’t help but feel they exude so much beauty! Adrianna certainly does not mind spending volumes of time “sobbing to it”, as she did to a recently finished drama series, Goblin. The third speaker was (personally, the handsomely-voiced) TM Nabil. The question presented to him dealt with food as he was asked about is his “favorite meal of the day”. This was a both an easy and difficult question for him as, for he admits, food is something that he loves! However, he was caught in a trichotomy, as he cannot choose between the three meals of the day. Considering carefully, he started by saying that if he was to miss breakfast, then he would have to work hungry. For lunch, well, there was no excuse to skip lunch. He finally decided that dinner was his favourite meal time, because he would then able to spend it with his beloved friends (except TM Rayhan). 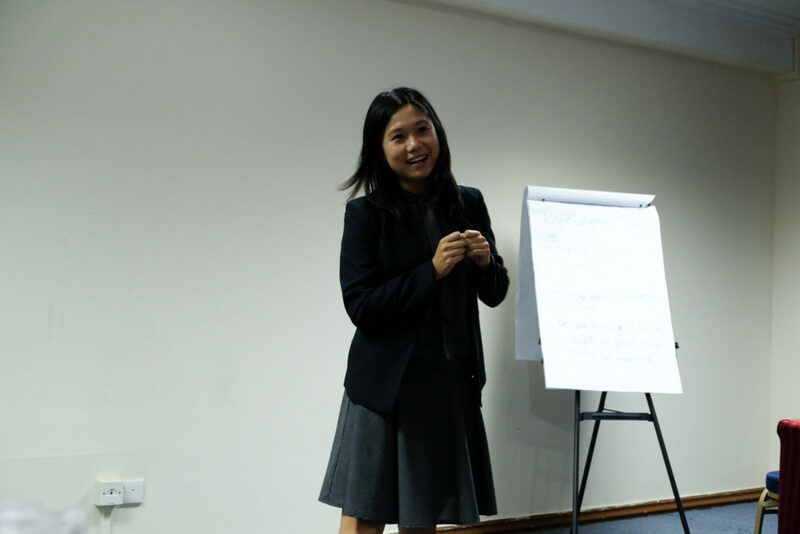 The next speaker welcomed was ACB, ALB Pranika Lama. Still in line with questions about time, she was asked about her “favourite day of the week”! She began by saying that her answer, as of this week was no longer the same as it was before. Previously, it was Sundays, as it gave her the chance to watch her favorite Korean drama series, Goblin! (One can see another trend forming) This particular series released episodes on Fridays and Saturdays. However, both episodes were uploaded online on Sundays, with subtitles! Alas, (as said before) Goblin had ended, leaving a bittersweet feeling behind. As for now, Pranika’s favourite day is Wednesdays, for a new Korean series called Hwarang is airing for her to enjoy! She said that the plot is underwhelming, but it had so many pretty boys! The final Table Topics speaker was none other than our guest, Safwan. Each previous speaker had shared their delights with us, so then he was then asked about his “favorite thing to treat himself with”. Understandably, it wasn’t Korean dramas. 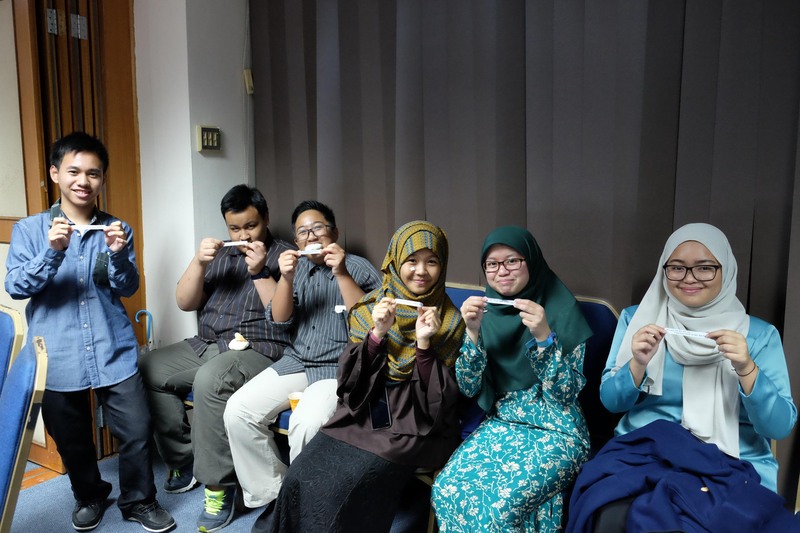 For Safwan, and also for a few of us in attendance, it was video games. One particular genre of gaming appeals to him most, which were open world, 3rd person perspective games. The appeal is that these types of games enables him to exert a certain degree of freedom, such as climbing up buildings and then jumping off them, without much concern to his own immediate safety. However, he only treats himself after he had completed some work. Working as a freelancer, this meant that he may have to wait for a while. 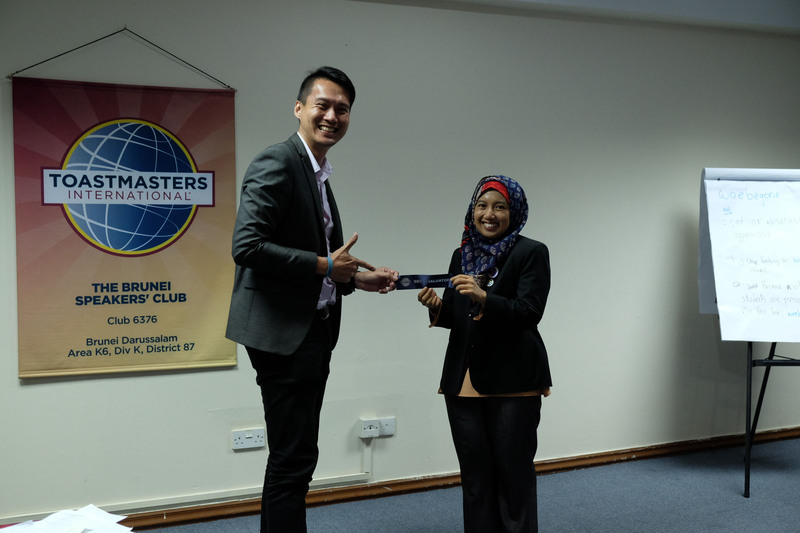 The person awarded for the Best Table Topics Speaker for the night was TM Nabil, rewarding his excellent use of charisma and humour. The ribbon for the Best Evaluator was given to ACB, ALB Yani Hepnie, demonstrating the skills her titles acknowledge her for. 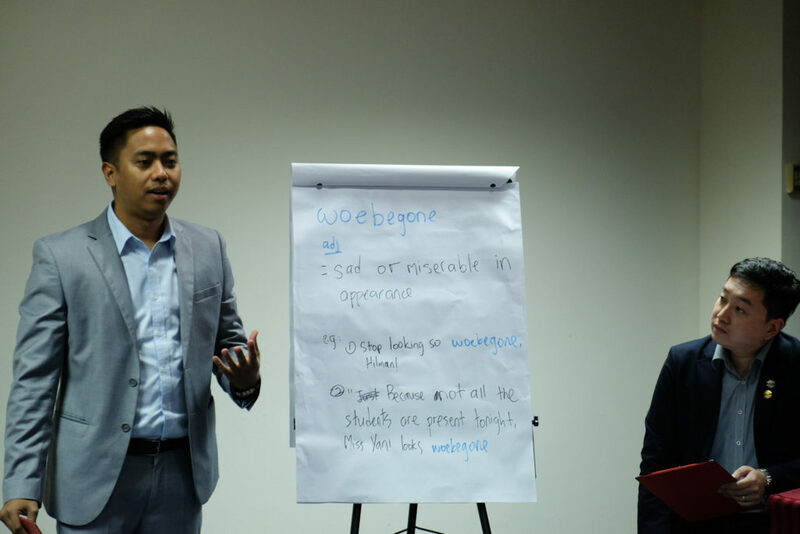 Closing remarks for the meeting was delivered by the Vice President of Education, CL Gerald Goh, standing in for the President. Although it is good to accept opportunities, Gerald said that “it is when we face the hardest of things do we learn”.